Hoka has completely re-tooled their lasts for Spring '17, and this is the first to hit the shelves with their new style. This version is wider everywhere. Wider forefoot, wider heel and wider base. For those with narrow feet, all it really does is make you sit down in the cushion better than version 4. 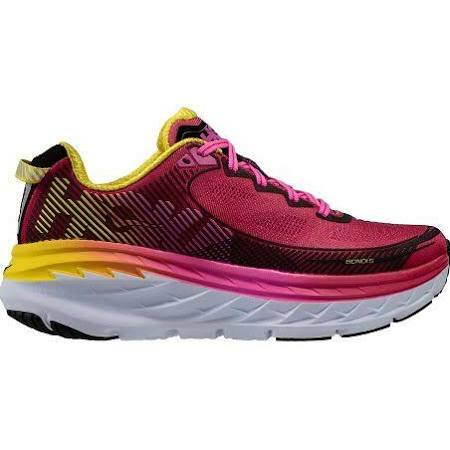 This shoe is now the most cushioned in Hoka's road specific line-up. The wider base gives better ground contact than past years' Bondi has had, couple that with the full EVA midsole, and this does feel pretty awesome. 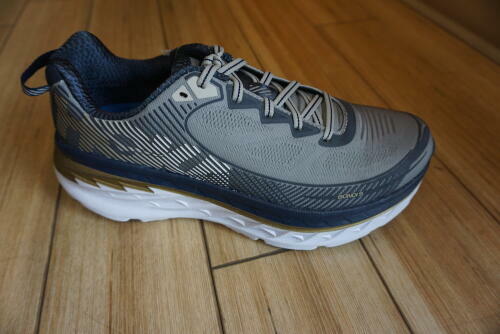 Additionally, the upper material is now an open engineered mesh that maximizes breathability and support. One of the better feeling uppers that moves much better with your foot, and starts to disappear the longer it's on. Shoe offset is still 4mm.